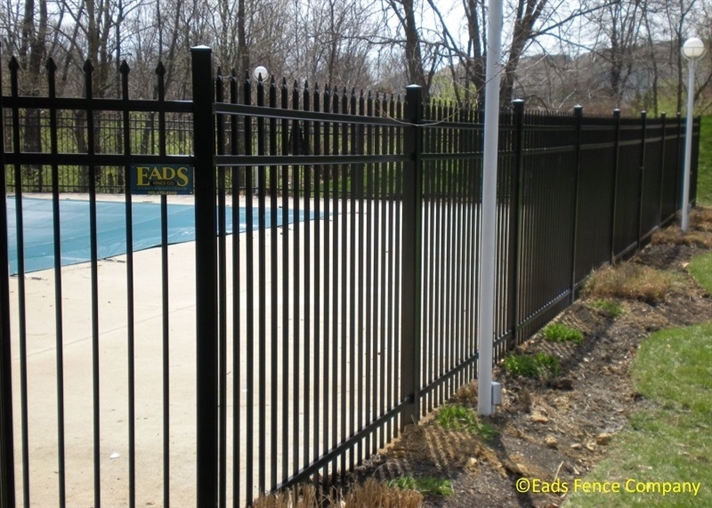 Eads Fence Company has been supplying and installing pool fences for the past 30+ years. 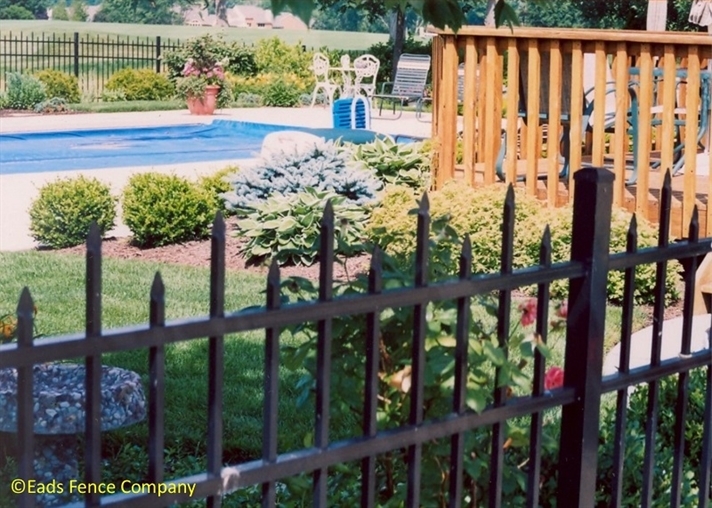 Our beautiful pool fences are built with your safety and security in mind. 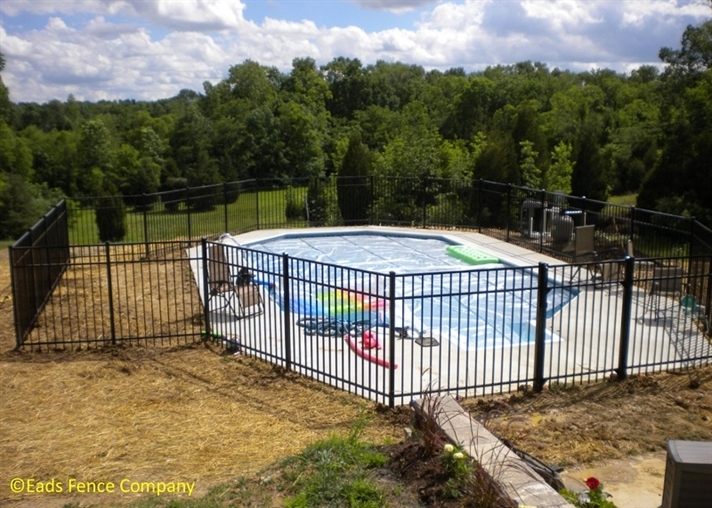 We take pool fencing very seriously and put the safety of our fences before all other things. 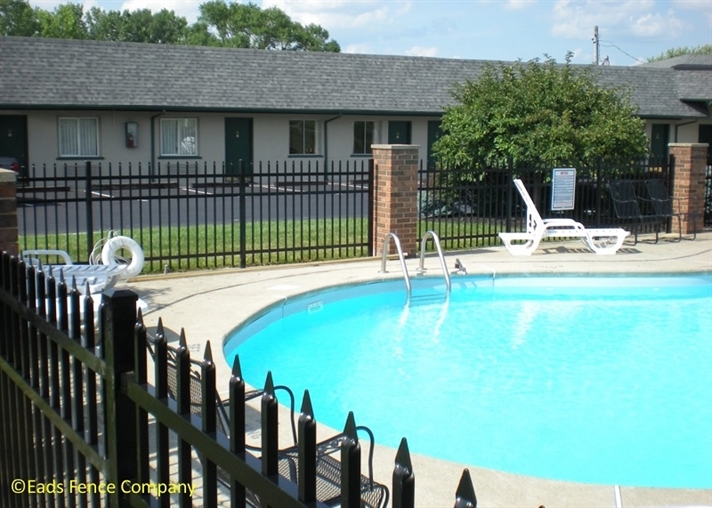 While pool fences can come in many types and styles such as wood and chain-link, the most popular pool fences are made of maintenance-free aluminum and vinyl. 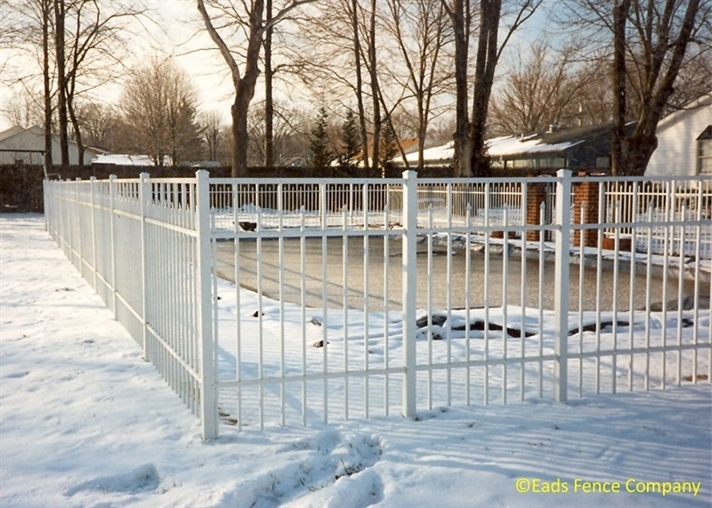 Most all swimming pools require fencing around them. Varying local and state codes determine the height, picket and rail spacing, gate hinges and latches. 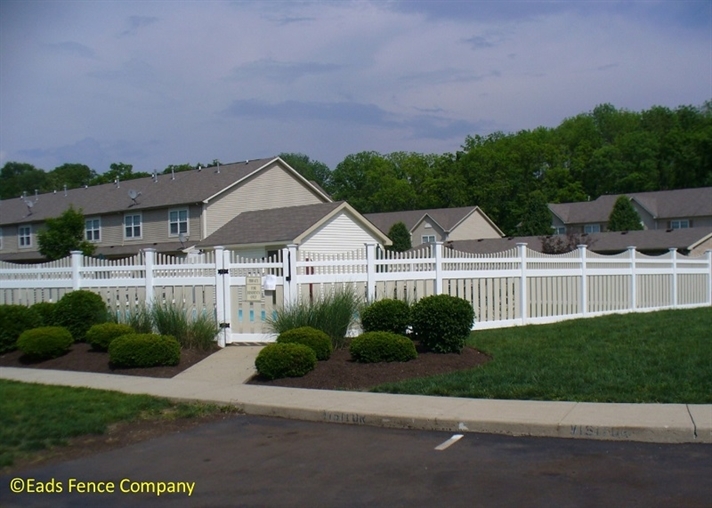 These requirements must be met to obtain a permit for the fence. Check your local building codes for the exact specifications required, as they vary by state, county, homeowner's association, etc. 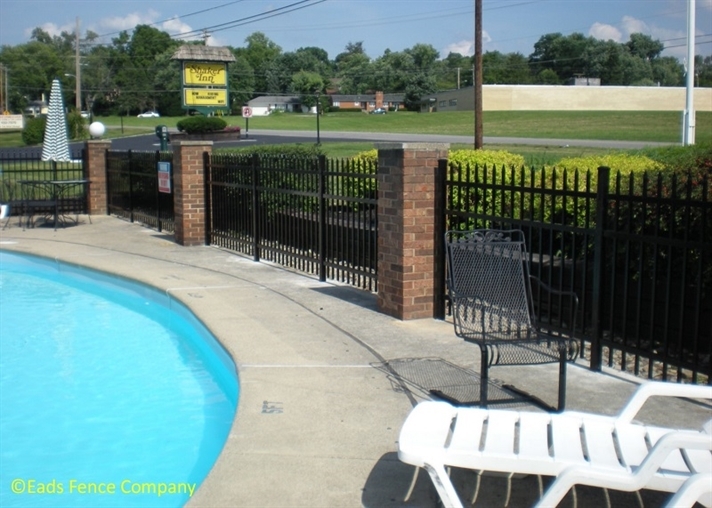 Many things are to be considered when purchasing a pool fence. 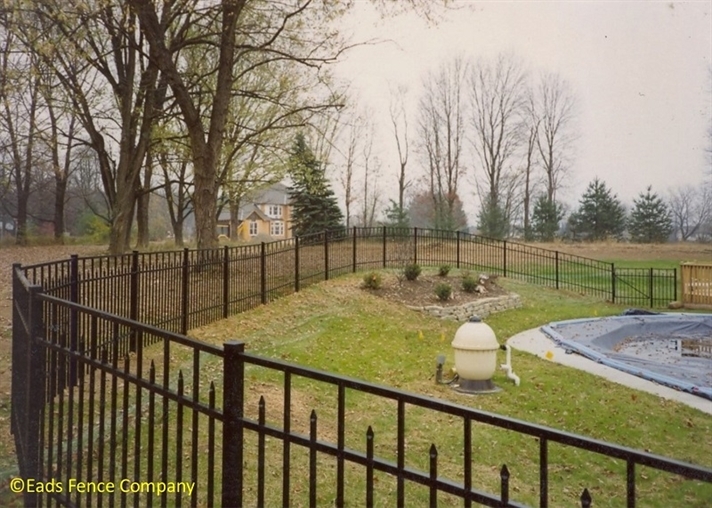 The placement and location of the perimeter fence, number of gates and their placement, type of gate hinges and latches, and where those are placed on the gates. 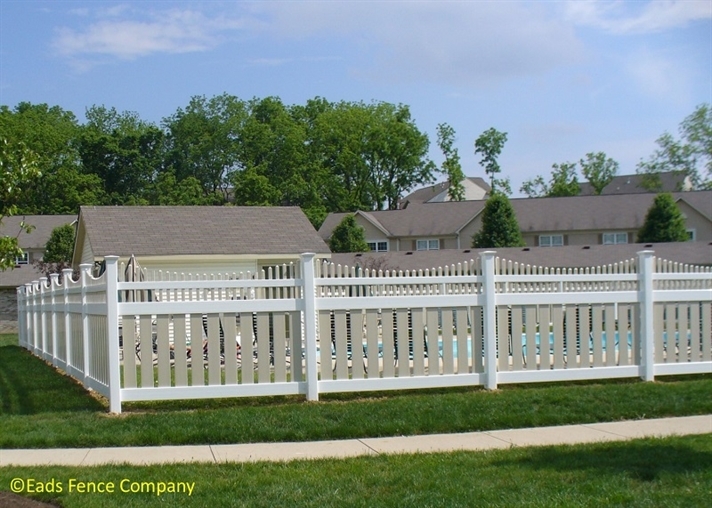 Your local codes may allow you to choose your type of fence or they may limit you to one type, such as aluminum fencing or vinyl fencing. 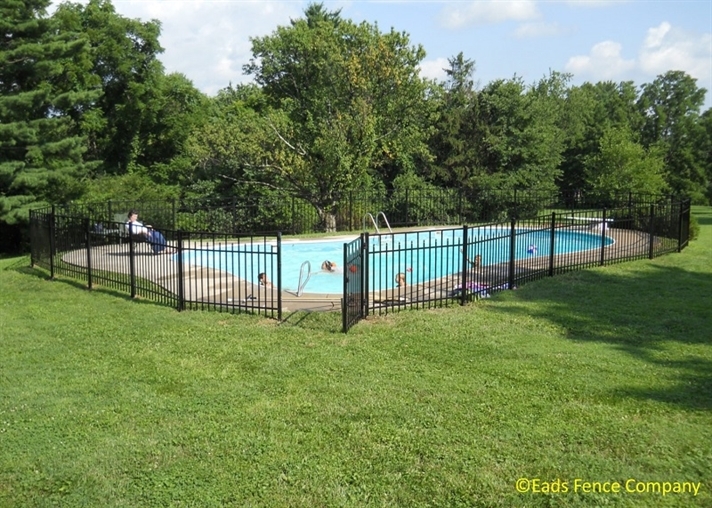 The layout of your pool fence, whether right around the pool or the perimeter of your backyard, affects safety, flow, play area, landscaping, aesthetics and cost. 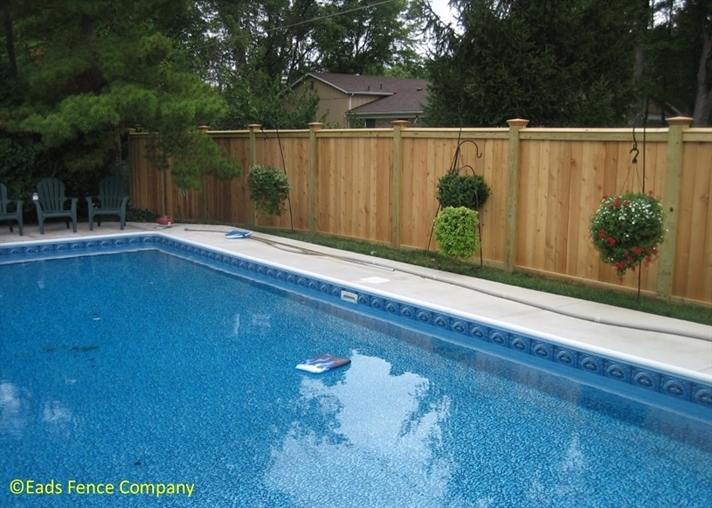 Our experienced pool fence estimators can help you design and layout the proper fence for your yard. 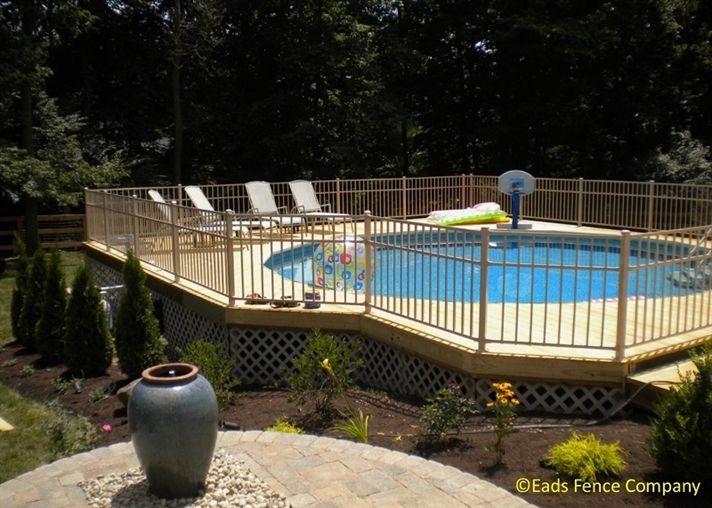 We can professionally install your pool fence, or sell materials for the do-it-yourselfers. 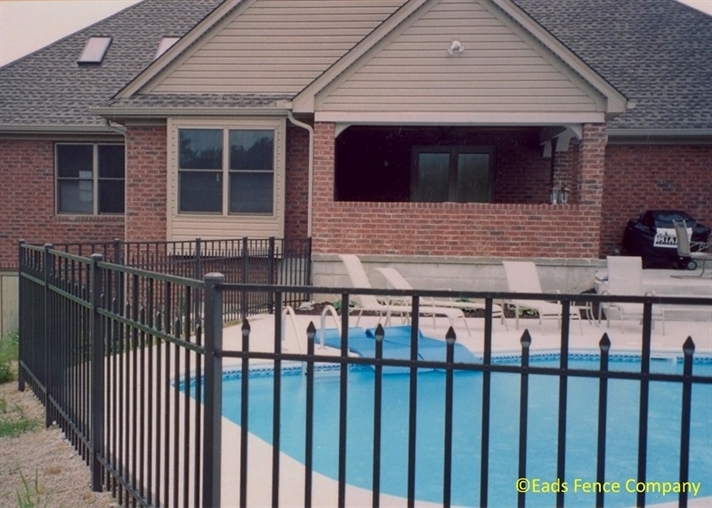 We install pool fences in the Ohio, Kentucky and Indiana area. 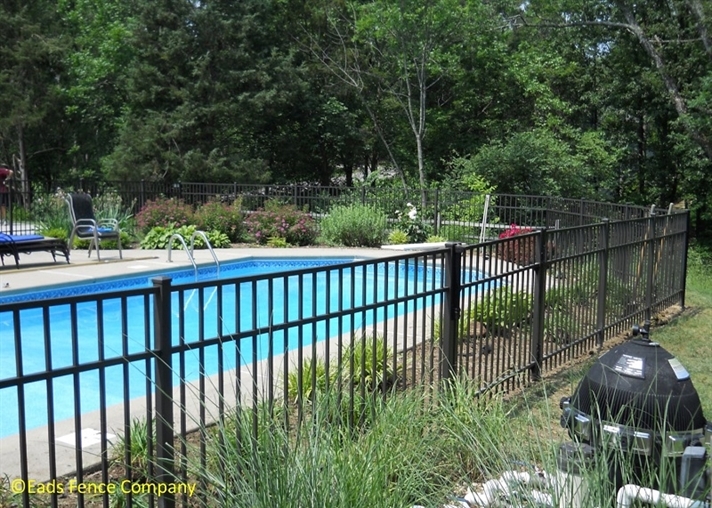 We sell pool fence materials locally and nationwide. 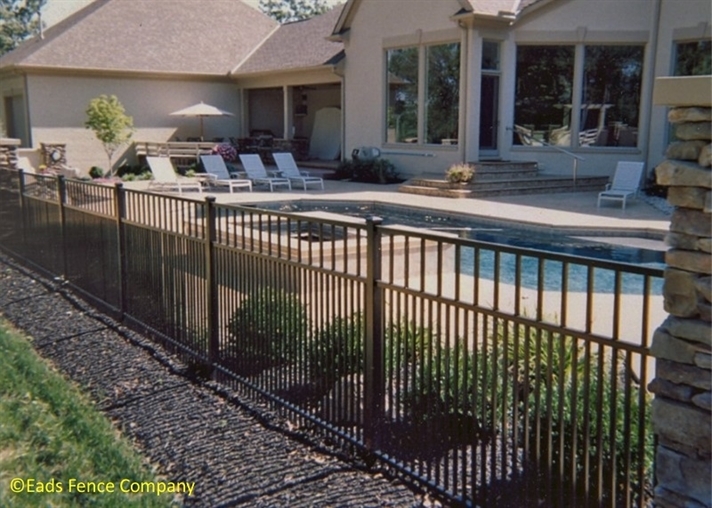 Visit the Midwest's largest indoor fence showroom in Loveland, Ohio for our pool fence ideas and inspiration, or contact us for a quote at your site.